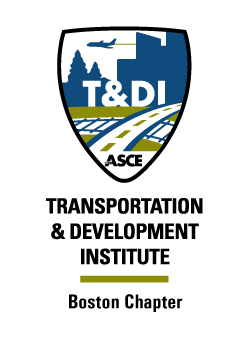 The mission of the T&DI Boston Chapter is to provide a forum for educating BSCES members (and non-members) on all types of transportation projects and issues. The group is multi-modal and considers a range of issues facing passenger and freight movement on the following modes: airport, highway, transit, rail, water transportation, pedestrians and bicycles. This seminar is the Transportation & Development Institute Boston Chapter’s signature annual event that focuses on transportation issues as well as state and city wide projects. The event features two panel discussions, a social hour and a dinner accompanied by a keynote speaker; click here for more information. This annual event focuses on current legislative issues within the Commonwealth, featuring a panel discussion from members of the Transportation Committee and from the House of Representatives for Massachusetts. T&DI Boston Chapter joins with other institute chapters to network with peers at local bars and restaurants. We typically host a fall and spring social where appetizers are always complimentary. Collaborative meetings in which we discuss all updates from the subcommittees, discuss current happenings and exchange ideas for the Transportation & Development Institute as a part of BSCES. Become an active member of the T&DI Boston Chapter committee to assist in planning events that will enhance the engineering community in the fields of transportation and infrastructure. This ranges from brainstorming for webinar and seminar topics to organizing networking socials. For more information, please contact the chair. The T&DI Boston Chapter typically holds both group and committee meetings. General membership meets every other month on the second Tuesday from 5:30 PM to 7:30 PM at the Aldrich Center in Beacon Hill. The T&DI Committee meets on a monthly basis, every second Tuesday from 12:00 PM to 1:30 PM. See the event calendar for the most up-to-date information.